When we talk about mountaineering, for most of us, the knowledge is restricted to the old familiar names such as Edmund Hillary and Tenzing Norway. Today, the world has witnessed women’s interest and initiation in fields of adventure, where dauntless courage, willpower and determination are prerequisite. Women are exploring their maximum potential, breaking world records and becoming an inspiration to all the others, out there. Breaking stereotypes, challenging setbacks, scaling new heights are one part of their life. Apart from these breathtaking adventures, these ladies have taken responsibility to change the mindset and situation of the society. Arunima Sinha, a former volleyball player from Uttar Pradesh, India is the first amputee to scale Mt. Everest in the world. On April 11, while travelling in a train to Delhi, she met with a group of chain snatchers who threw her out of the train. The incident caused her a leg. This was a turning point in her life and with firm determination and strong willpower, she conquered Mt. Everest on 21st May, 2013. She says, “Leg is but obviously required to climb Mt. Everest, but what is needed most is a brave heart.” She has written a book “Born Again On The Mountain”, launched by Prime Minister Narendra Modi, which tells her journey from the railways tracks to the summit of the Everest. Presently, she encourages people to have ‘never quit’ attitude when faced with adversity. Shaheed Chandra Shekhar Azad Viklang Khel Academy, governed by Arunima Foundation is an initiative to provide guidance and support to the down trodden and needy. 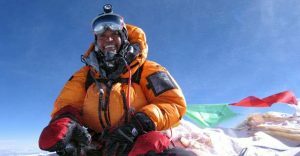 The Padma Shri recipient aspires to scale all the highest summits of the seven continents. A Hollywood movie is being made, based on the life of Arunima Sinha. 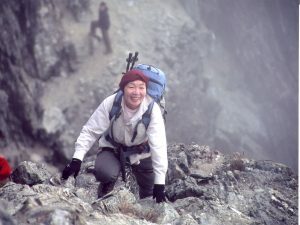 Forty one years ago, on 16th May 1975, Junko became the first woman to climb Mount Everest. She did it when society was still orthodox and considered mountaineering to be a men adventure. “Back in 1970s in Japan, it was still widely considered that men were the ones to work outside and women would stay at home,” said Tabei. 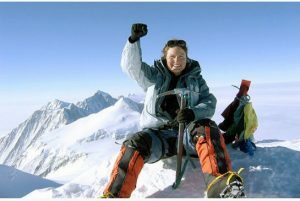 She has also achieved the title of the first women to reach all the seven summits. In her interview, she had put forward the issue of environmental damages caused to the mountains. She even researched in Kyushu University on garbage problem of Everest. 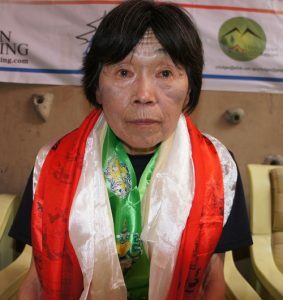 Junko campaigns for sustainable mountaineering and heads “The Himalayan Adventure Trust of Japan”. 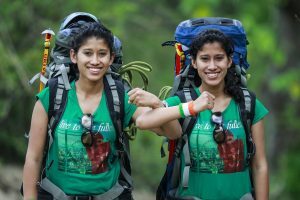 Jaahnavi Sriperambuduru is the youngest girl to scale Mt. Elbrus, Europe’s tallest peak on 31st July 2015 at the tender age of 13. 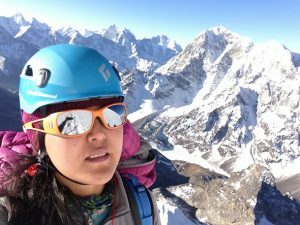 The Indian girl completed Aussie 10 Challenge in 4 days, which targets at climbing all the 10 highest peaks of Snowy mountains. 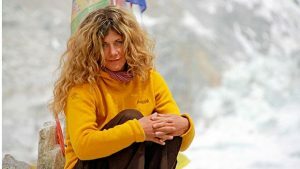 Other than these, she had also set new records of being the youngest person to have reached the summit of Stok Kangri and Mt. Kosciuszko. She is also a motivational speaker and works for issues like girl empowerment and gender equality. She has recently started a campaign ‘#AmPrettyTough‘ which advocates the notion of ‘Let’s look beyond looks‘. Meagan McGrath’s fascination for mountains, gravitated her to accomplish the seven summits in May 2007. 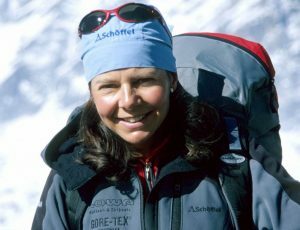 In January 2008, she became the First Canadian Woman to summit the Carstenz Pyramid version of the Seven Summits, becoming the only Canadian woman to achieve both versions of this mountain challenge. Mcgrath also completed the first Canadian Solo Ski to the South Pole in 2010, during which she traveled 1,095 km hauling a 200 pound sled.